Admission to the Bud Light Duck Gumbo is $20 at the door. The event will be held Thanksgiving weekend on Saturday, Nov. 24 2018 in a tent on the Producers Rice Mill parking lot at 901 N. Park Avenue. The Bud Light Duck Gumbo Cook-off is sponsored by Ludwig Distributing Company of Stuttgart, Arkansas. Gumbo A Thanksgiving Tradition. It has become one of the most popular events at the Wings Over The Prairie Festival and it is one of the best-known parties in the state of Arkansas. The annual Bud Light Duck Gumbo has become a Thanksgiving tradition for many people. Every year, literally thousands of people make plans to attend the Duck Gumbo. There is plenty to see and do. The Duck Gumbo attracts a wide range of people, from celebrities to just-friendly folks. In the past, the Dallas Cowboys Cheerleaders have performed and Cowboys owner Jerry Jones is a frequent visitor. Or you may want to have your photograph taken with the Bud Girls from Budweiser. But the Duck Gumbo isn't all fun and games. There is also some very serious competition. More than 50 teams compete for bragging rights to the "World's Best Duck Gumbo." Each team is required to cook 3 quarts of gumbo and 50% of the meat used in the recipe must be duck. Teams start cooking at 10 in the morning and final judging takes place at 3 in the afternoon. Prizes are awarded for first, second and third place. But even if a team's gumbo doesn't win the taste test, each team has a shot at winning the award for Best Booth. When you visit the Bud Light Duck Gumbo Cook-off, one of the first things you'll notice are the elaborate booths the teams assemble. Most have a theme and teams have been known to work all year designing an eye-catching booth. The Bud Light Duck Gumbo is also a chance to see old friends. Some people are known to see each other once a year -- and that's at the Duck Gumbo. 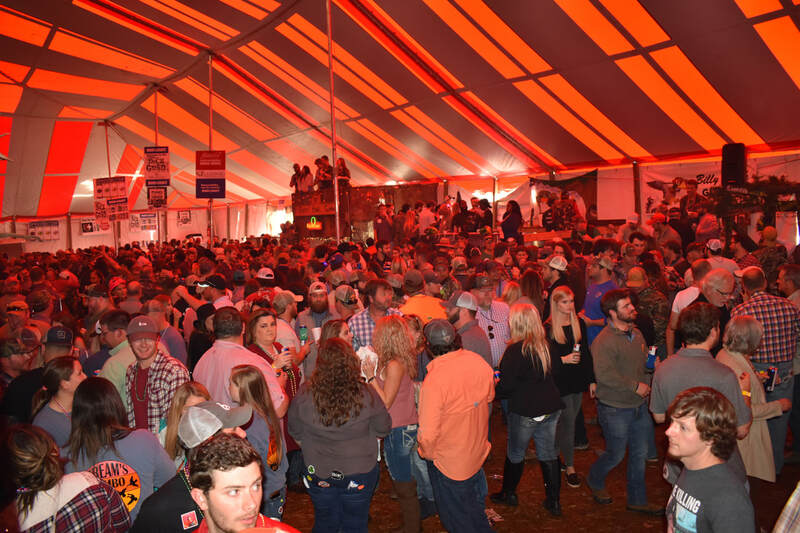 Be sure to visit the Bud Light World Championship Duck Gumbo, which takes place the Saturday after Thanksgiving in Stuttgart, Arkansas.